Consider this. On Friday April 13, 2029 (yes, Friday the 13th) 99942 Apophis, a Near Earth Asteroid, will pass within 24,000 miles of Earth, just under our geosynchronous satellite field. In astronomical terms, this is an incredibly close call. When first discovered in 2004, there were global concerns that it might hit the planet in 2029 or on its return trip on Easter Sunday 2036. NASA has since downgraded the strike percentage to 1:233,000 and they will better refine their calculations in 2013 when the orbit of 99942 Apophis next brings it within tracking range. While the NEA is only three football fields in length and no more than 300 meters across, its packs a punch. If it were to collide with Earth, it would unleash the equivalent of a 510 megaton nuclear blast. Can we prevent a 6th ELE? 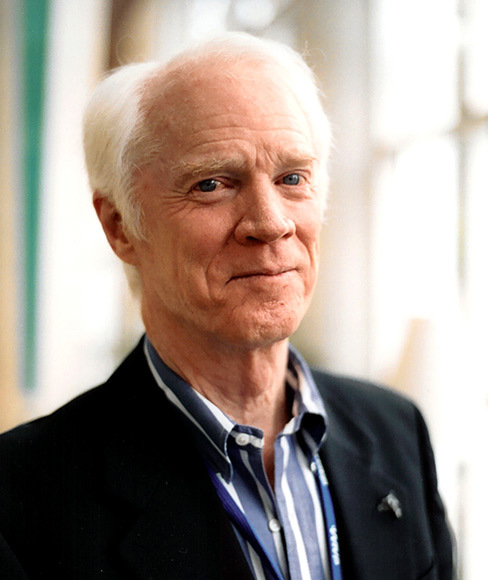 Understanding the dangers posed by NEOs and NEAs has been the life work of former Apollo astronaut Rusty Schweickart. Rusty was the lunar module pilot on Apollo 9 and later served as backup commander for the first Skylab mission, which flew in the spring of 1973. Schweickart is the founder and past president of the Association of Space Explorers (ASE), the international professional society of astronauts and cosmonauts. The organization promotes the cooperative exploration and development of space and the use of space technology for human benefit. The ASE has a current membership of over 391 astronauts and cosmonauts from 31 nations. Rusty is also current Chairman of the Board of the B612 Foundation and gets its name from the asteroid found in the well-known children’s book “The Little Prince,” by Antoine de St. Exupery. The organization is comprised of former astronauts, scientific professionals and other technical people, who are involved in and concerned about the inevitability of the impacts from NEAs and other Near Earth Objects (NEOs). Rusty has joined The Luncheon Society four times in the last decade, most notably in January 2007 when we were joined by Mercury astronauts Wally Schirra and Scott Carpenter, Dorin Prunariu , the first Romanian Cosmonaut, Alexei Leonov, the Soviet space pioneer as well as the first man to walk in space, along with 5 shuttle astronauts and Sergei Avdeev , who spent 747 days as a cosmonaut on Mir. Also in attendance was Carolyn Shoemaker, who co-discovered over 800 asteroids and 32 comets, chief among them Shoemaker-Levy-9. Each time The Luncheon Society has met with Rusty, we’ve received an update on his progress and that night’s intimate scientific gathering enjoyed he conversation. How Shoemaker-Levy 9 changed everything. In 1994, the remnants of comet Shoemaker Levy-9 broke into 21 fragments and slammed into Jupiter, leaving a series of Earth-sized bruises in the Jovian upper atmosphere. Because of the advance notice, earthbound telescopes as well as the Hubble transmitted astonishing pictures. Not only could astronomers observe the collision and what was kicked up into the upper atmosphere, but it also underlined the dangers of Near Earth Objects crashing into Earth. The events of 65 Million years ago now had a modern urgency. Could our past fate be avoided for future generations? What’s the first task? Get a good accounting of what is out there. Once thought to a realm of clockwork precision and meticulous order, our solar system is full of space debris. Some of it is man-made from a half century of flinging rockets into space. The great majority of it comes from matter left over from the creation of our solar system. They include dust, rocks, and huge boulders scotch-taped together by the thinnest strands of microgravity. Most have their own elliptical path with speed determined by its proximity to the Sun, but those which cross the earth’s elliptical orbit offer potential danger to harm our planet. Congress directed NASA to identify 90% of NEAs that exceed 1 km in size by 2008, a size that would create global damage on impact. Estimates are that 87% of these have been catalogued since 1998. Once found their orbital paths are plotted against a potential Earth strike. They are catalogued and monitored because gravity, the absorption of light, and other space collisions might alter their trajectory on repeated orbits around the Sun. In 2005 Congress directed NASA to tighten up this search to find 90% of all 140 meter diameter objects by 2020. While Astronomers have charted orbital paths for the larger NEA’s, the challenge remains on those NEAs smaller than 1km where the search is just now getting under way. While they may not cause an ELE, they could kill millions in a moment’s notice. In 1908 a rugged asteroid no larger than 40 meters in diameter entered the Earth’s atmosphere over the Siberian forests. It exploded at an altitude of 20,000 feet with a force of a 5 megaton bomb, roughly 350 times more powerful than the nuclear blast at Hiroshima. It flattened 800 square miles of dense forest. 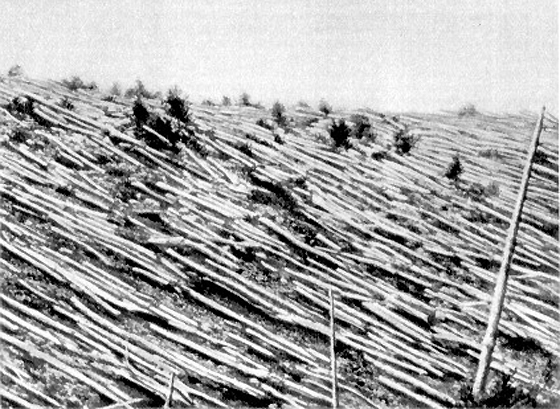 The Tunguska event of 1908 remained undiscovered and unstudied for decades, because of the remote denotation and the political turmoil of the region. Scientists did not arrive until 1928. However, had the asteroid hit hours earlier or on a different orbital rotation of the earth, millions could have been killed in London, New York, or Paris. Scientists say that a Tunguska event takes place every 300 years or so. Finding asteroids after they’ve passed by Earth is counter intuitively good. The object is to find them and determine their orbits thereby being able to predict an impact decades later. Unfortunately finding those threatening NEAs whose orbits lie mostly closer to the Sun than Earth’s is challenging from the Earth’s surface; one has to look toward the Sun to find them, a no-no with optical telescopes. Luckily a telescope (or two) placed in a Venus-like orbit can look outward (away from the Sun) and find them quite easily. When you find one of these Bad Boys, what’s next? Based on the spectacular visuals from Shoemaker-Levy-9, Hollywood got down to work and churned out a bumper crop of movies, both good and bad. The fate of the Earth fared better in Armageddon than Deep Impact but in both cases Bruce Willis and Robert Duvall led teams that blew the asteroid out of the sky before humanity was wiped clean. However, blowing one of these huge chunks of space rock to smithereens might multiply the potential of an earthbound strike because instead of 1 asteroid hit, you may be facing 5 or 6 smaller chunks, each just slightly less deadly than the main body. Schweickart and his team at B612 have suggested a novel solution. 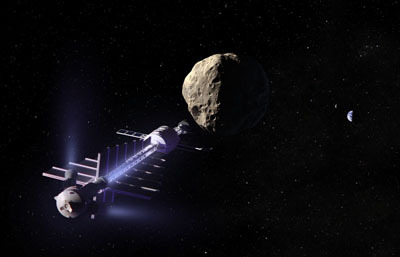 What if an orbital unmanned space tug could use its gravitational effect to either slow down or speed up the orbit of an oncoming asteroid so it would harmlessly pass without causing any damage to the earth? While Rusty says that the specific technique in that 2003 Scientific American article is not yet available to us, the principles stated are valid and by using a combination of “kinetic impact” (i.e. running into one) and a small precise adjustment using a gravity tractor (towing by using gravity as a weak tow rope) we can accomplish the same thing with existing technology. By the way, the concept of the gravity tractor was invented by Ed Lu and Stan Love of B612 Foundation (published in Nature in November, 2005). The future of manned space flight. The big problem with manned spaceflight is that politicians are generous with broad pronouncements but then run for cover once the true costs and the challenges emerge. When The Luncheon Society met with NASA’s Christopher Kraft, who ran Mission Control from the early days of Mercury through to the dawn of the of the Space Shuttle, he said that in 1970 Vice President Spiro Agnew promised that a Man would be on Mars in the mid 1980’s for a bargain basement cost of $24 billion. In 1989, on the 20th anniversary of Apollo 11, President George HW Bush also promised a Mars manned space program but that faded quickly once the full costs were penciled out. In 1993, Space Station Freedom morphed into the International Space Station because the costs could be shared internationally. Project Constellation faced the same hurdles. Long on vision when it was announced in 2004 after the Columbia Space Shuttle disaster, it was perpetually short on funding and hopelessly behind schedule. Based as a merging of Apollo and shuttle technology, the command module Orion would supply the ISS with a fresh crew of astronauts, position a return to the Moon and use the lessons learned as a springboard for an eventual manned trip to Mars. According to some press reports, Orion 13 was scheduled to touch down on the moon in 2019. Schweickart supports the Obama space initiative but felt that the Administration stumbled when they initially failed to articulate their objective for manned space flight. It has now corrected by citing a human mission to a near-Earth asteroid by 2025 as the next human exploration goal. By ceding lower earth orbit to the burgeoning private commercial space industry (companies like Space X), it might free budgetary resources so that NASA can focus on more spectacular missions to a Near Earth Asteroid or a manned landing on Mars. Building a sustainable funding model. Either way, democracies tend to be reactive beasts; if the Soviets failed to create a propaganda circus surrounding Yuri Gagarin’s orbital flight in 1961, John Kennedy might not have doubled-down his Cold War bet with a Moon landing and safe return. The American effort might have started and ended with Project Mercury in low Earth orbit. However, American politicians did not want to sleep by the light of a Communist Moon; money became available, an infrastructure was built, before it was dismantled during the 1970’s. It is hard to believe that we built a second fully-functioning Skylab space station that could have been placed into low earth orbit. With no budget, it was placed in storage and by 1976 it was donated to the Smithsonian’s Air and Space Museum. The opportunity for long term exploration of the Moon was at our footsteps, and we walked away just as we were getting good at it. The question as President Obama articulates his desire for an asteroid visit by 2025 as a precursor to Mars is this: Will the NASA budget match the vision or is this another in a long line of speeches by past American leaders the where sticker shock kills the dream of deep space? In the end, our space program needs a sustainable funding stream. Placing our national hopes that Congress will fund an American return to the Moon in order to beat the emerging Chinese space program will not resonate anywhere. Visiting a Near Earth Asteroid might combine opportunity and vision because the real action might be found there. “If you want to know something about the origin of life — whether the chemicals that were necessary for the evolution of life came from space — this is a really good place to look,” project scientist Joseph Nuth, with NASA’s Goddard Space Flight Center in an interview with Discovery.com. NASA will need to design the propulsion and the life support to last for the duration of a long voyage. However, the asteroid 24 Themis offers a tantalizing solution because the astronomers discovered that the asteroid be covered in a layer of frost. Other asteroids and dwarf planets like Ceres, are thought to have water below their surfaces, but if 24 Themis serves as any indication of its peers, astronauts might be able to bootstrap their life support from the asteroid itself. Wherever there is water, there is the potential to create breathable oxygen. One small Rendezvous for a Man. Unlike landing on the Moon, American astronauts would rendezvous and even dock with an asteroid. They would work in microgravity not unlike docking with the International Space Station. Like the artist’s rendition, what was once designed to land on the Moon might serve and an anchor for a future manned flight to an asteroid. With it we might unlock some of the lost secrets of our universe. And if the asteroid is scheduled to collide with the earth, we can even move it into a safer orbit and live to tell about it. This entry was posted in Bob McBarton, Luncheon Meetings, NASA, NEA, Near Earth Objects, NEO, Space, The Luncheon Society. Bookmark the permalink.